The Sufi poet Amir Khusro truly said that if there a paradise on earth it is in Kashmir. Indeed Kashmir is majestic and is a delight for all who love to explore the beauty of Mother Nature, followed by its carpets, rugs, embroidery, woodwork, handicrafts and more. But is that all? We say there’s more to Kashmir! Yes, we’re talking about the food. Kashmiri cuisine might not be as famous but is a treat to your taste pallets. Traditionally a one-course meal called ‘wazwaan’ in Kashmiri cuisine is full of delectable treats beginning with a starter, followed by the main course and ending with a dessert. 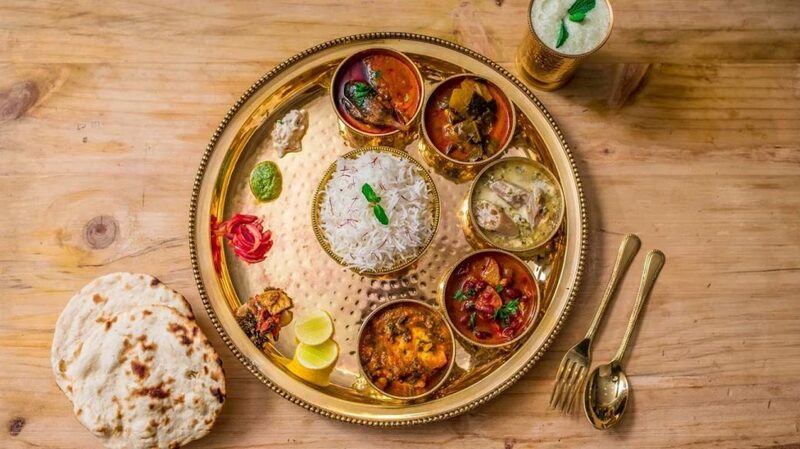 Although there is no better place to eat than Kashmir itself, but save yourself the trip for a special occasion and douse the cravings at these places in Delhi where you can devour authentic Kashmiri dishes! Wazan Food Festival and make plans to try something new!